The way Greater New Orleans manages water creates 3 main problems: flooding, subsidence and pollution. Louisiana has a Master Plan for a Sustainable Coast that incorporates natural, coastal lines of defense for flood protection. Yet, the challenge of managing stormwater and flooding behind the levees, in urban areas, remains. 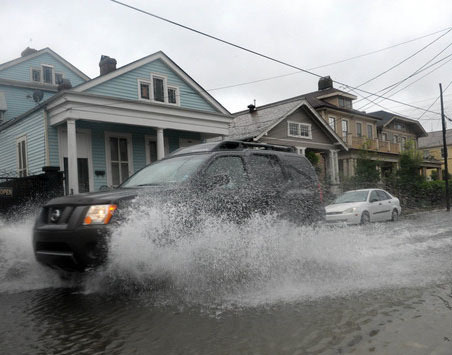 New Orleans is one of the rainiest cities in the country, with over 62 inches falling per year. 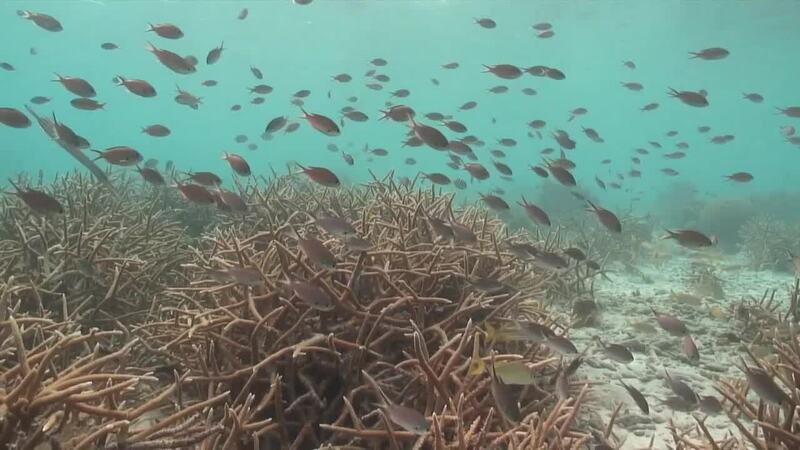 Because of rain and poor stormwater management, the city is often swamped. Localized street flooding in many neighborhoods floods cars and damages homes and businesses. The floodwaters collect debris, oil, lawn fertilizers, pesticides and industrial chemicals. Better stormwater management will lead to a decrease in flooding. 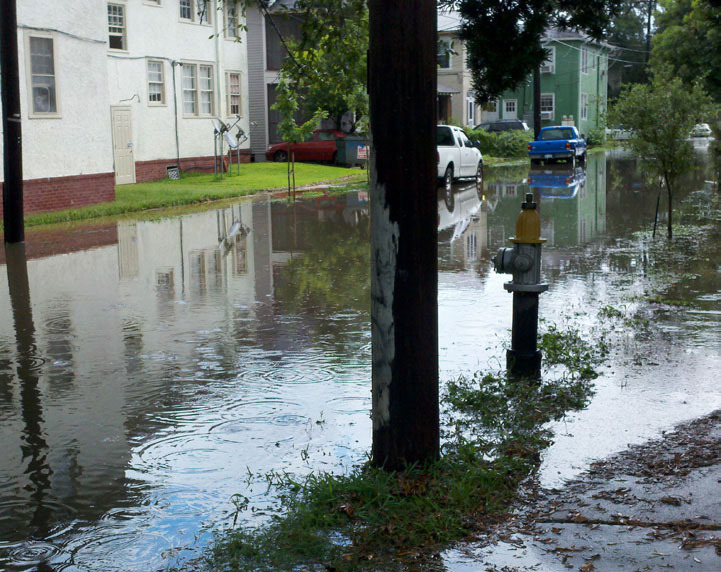 Localized street flooding during storm event in NOLA. 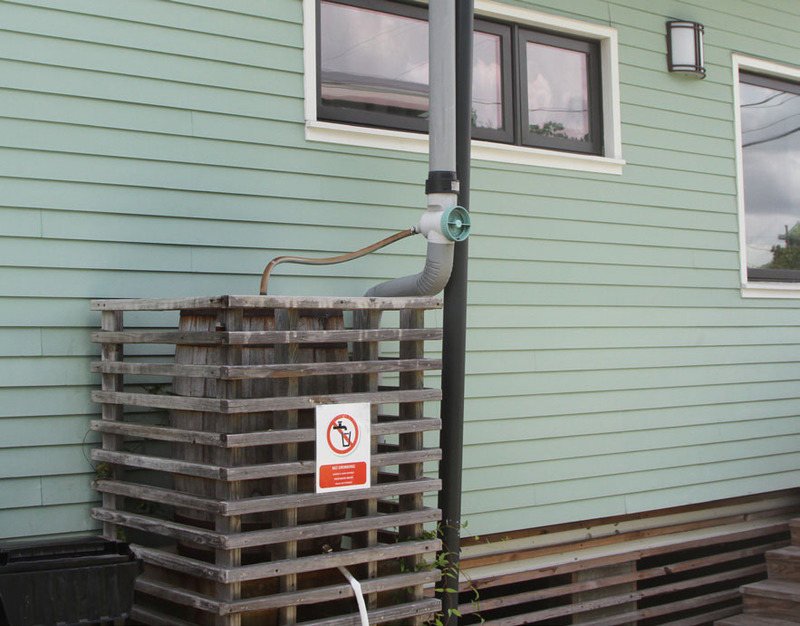 The Greater New Orleans region can become a leader in sensible water policy. Stormwater could be seen as a resource to be captured and used, instead of a nuisance to be disposed of and hidden. The City and private entities have spearheaded successful pilot projects and learned many lessons along the way. Now there is an opportunity to take these lessons learned to shift the way the region manages stormwater as a whole, but that has to be driven by citizen involvement. Stormwater technologies like rain gardens, bioswales and pervious paving, can prevent flooding by slowing drainage and safely storing and filtering water. Slowing and storing the water minimizes the burden on the city’s aging and crumbling drainage infrastructure. Canals can be transformed into beautiful public spaces that hold water while contributing to a higher quality of life. Both natural and man-made land features are necessary to protect the Greater New Orleans area’s unique culture and productive economy. Implementing an integrated stormwater management plan can help retain, safely store and naturally filter water before it is drained to Lake Pontchartrain and surrounding wetlands. 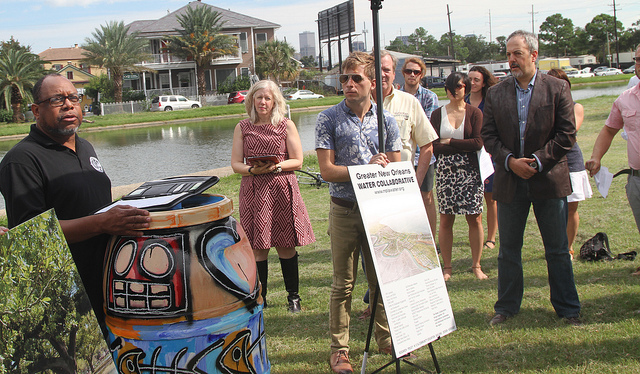 By building a smarter stormwater management system New Orleans will strengthen its coastal lines of defense while reducing risks and protecting homes, communities and the economy. The wake of vehicle driving through localized street flooding. Rain barrels can keep and store storm water for later use. Healthy Gulf continues to be a leader in the Water Collaborative of Greater New Orleans. We are committed to bringing additional neighborhood and church leaders into the conversation and helping them succeed at a neighborhood level to reduce street flooding, subsidence and street runoff pollution. ‍If you're a New Orleans resident, you can support a Flood Less New Orleans by sending Mayor Cantrell a message thanking her for committing to better stormwater management and encouraging the Mayor to follow through on funding and policies that promote green infrastructure.